In spite of lots of controversy, the chief budget writer for the Senate is trying to keep the budget process moving in the upper chamber. Yesterday, Sen. Steve Ogden (R-Bryan) offered up several ideas to help cover the cost of the Senate’s spending plan. One that was approved by the full Senate would generate $184 million in additional revenue. It involves passing a temporary constitutional amendment that would increase the market value of the Permanent School Fund. Senator Ogden also is going to take up the supplemental appropriations bill — House Bill 4 — in the Finance Committee. HB 4 authorizes additional spending to make up shortfalls in the current (2010-11) state budget. The measure passed in the House earlier this month. Senate Bill 23 by Sen. Jane Nelson (R-Flower Mound). It creates about $500 million in cost savings, primarily in Medicaid and the Children’s Health Insurance program. The measure expands Medicaid managed care into South Texas for a savings of $290 million over the biennium. It requires most Medicaid patients to use medicines on a state formulary. And it ensures people with disabilities receiving home health care use a Medicaid contractor. Its companion is HB 1645 by Rep. John Zerwas, MD (R-Simonton). SB 1580 by Senator Ogden would require the Health and Human Services Commission (HHSC) to study the cost-effectiveness of telemonitoring for diabetic Medicaid patients. SB 1580 also directs HHSC to study physician incentives to reduce Medicaid patients’ nonemergent use of emergency departments. Its companion legislation is HB 3666 by Representative Zerwas. Requires the medical staff to designate a chief medical officer (CMO) who must be approved by the hospital board. The CMO has the duty to report to the Texas Medical Board (TMB) that the hospital is hiring physicians under this bill and that the CMO is the contact for TMB. The CMO has a duty to report instances of interference to TMB. CSHB 300 by Rep. Lois Kolkhorst (R-Brenham). This is an attempt to strengthen state privacy law on top of the federal Health Information Portability and Accountability Act (HIPAA). The legislation would expand the entities and individuals who must comply with state privacy measures and also increases penalties for those who illegally disclose or sell data. HB 1816 by Rep. Charlie Howard (R-Sugarland). It would require all first-time students at public and private or independent colleges to receive a bacterial meningitis vaccination. Its companion legislation is CSSB 1107 by Sen. Wendy Davis (R-Fort Worth). It’s on the Senate Local and Consent Calendar today. Dan McCoy, MD, Chair of TMA's Council on Legislation, talks about why the Senate version of the Teas state budget is so much better than the House, why TMA is pushing for passage of the Senate bill, and what you can do to help. What can you do? Contact your state senator today. Ask your senator to vote to bring the budget up for debate on the Senate floor ... and then to vote "Yes" on the Senate Finance Committee plan. Contact your senator today. The Senate needs 21 votes to bring up the Senate Finance Committee substitute to House Bill (CSHB) 1 — the state’s 2012-13 spending package. Please contact your senator today and ask him or her to vote to take up CSHB 1. This spending plan benefits you and your patients. Here is a comparison of the House and Senate budget bills. Compare the difference, then contact your senator and Lt. Gov. David Dewhurst to support the Senate version. Here’s why: The Senate Finance Committee 2012-13 budget plan is $12 billion more generous than the House version, and restored funding for critical health care services. Finance Committee members did not slash physicians’ Medicaid and Children’s Health Insurance Program payments by 10 percent. They did not slash nursing home payments. They did not slash community-based mental health and hospital services for adults and children. They did not completely eliminate the Physician Education Loan Repayment Program or the state’s tobacco cessation program. By no means does the Senate budget fully fund all of medicine’s top priorities, including funds to improve the physician workforce and essential public health services. This is still a very lean budget. That is why TMA will continue to work on these priorities. However, given the historic budget crisis facing Texas, we believe this budget goes a long way towards protecting Texas health care safety. Plus, if a budget bill does not pass in the next four weeks it will be decided in a special session. Health care definitely will not be funded quite as generously. Act now. Please send an e-mail through TMA’s Grassroots Action Center or call your senator today. Sign up now for the last First Tuesdays at the Capitol. It’s your last chance to join hundreds of your colleagues to lobby on legislation that affects you and your patients. Sign up now to attend First Tuesdays at the Capitol on May 3. International medical graduates especially are invited to take part. Register today. Senate Bill 224 by Sen. Jane Nelson (R-Flower Mound). It requires schools to report students’ fitness and academic scores to the Texas Education Agency. SB 1177 by Senator Nelson. It requires health care facilities such as hospitals to develop and implement vaccination policies to protect patients from vaccine-preventable diseases. The policy would require health care workers to get vaccinations recommended by the Centers for Disease Control and Prevention’s Advisory Committee on Immunization Practices. HB 273 by Rep. John Zerwas, MD (R-Simonton). It would create a committee to study the Interstate Health Care Compact. Physician licensure: HB 527 by Rep. Rob Eissler (R-The Woodlands) will be taken up by the House Public Health Committee today. The bill would change the number of times a medical student could attempt to pass the U.S. Medical Licensure Exam. Currently a person can attempt to pass each component of the exam three times. This bill would change it so a person can attempt to pass each component six times. SB 822 by Sen. Kirk Watson (D-Austin) and HB 1333 by Representative Zerwas. These bills would allow physicians who work in an academic setting to treat patients as “in-network” physicians for claims purposes while their applications for credentialing and health plan network participation are being processed. CSHB 1534 by Rep. Craig Eiland (D-Galveston).The committee substitute seeks to balance access to preferred provider organization networks while making their actions transparent when using a physician and other health care provider discount. Reconstructive surgery: Today the House Public Health Committee will take up HB 669 by Rep. James White (R-Hillister). TMA worked with the bill author on a committee substitute. The bill no longer mandates what a physician must say to a patient regarding reconstructive breast surgery. Now the bill simply fosters that dialogue. It allows the physician to use discretion as to what is appropriate. Debra Patt, MD, an Austin oncologist, will testify in support of CSHB 669. Lyme disease: The House Public Health Committee also will take up HB 2975 by Rep. Todd Hunter (R-Corpus Christi). The legislation establishes a process of accredited continuing medical education (CME) programs for physicians by the Texas Medical Board (TMB). A TMB stakeholders group would develop accredited CME offerings regarding Lyme disease diagnosis, care, and treatment. Sen. Chris Harris (R-Arlington) is carrying the bill’s companion legislation, SB 1360. The physician of the day at the capitol is Mary Helen Morrow, MD, of North Zulch. Dr. Morrow has practiced family medicine for 15 years. She graduated from the University of Connecticut School of Medicine in 1991. Dr. Morrow is a member of the Brazos-Robertson County Medical Society. Contact your senator today. TMA issued an action alert this morning asking members to contact their state senator today. Here’s why: Last week the Senate Finance Committee passed its 2012-13 budget plan. Its budget was $12 billion more generous than the House version, restoring funding for critical health care services. Finance Committee members did not slash physicians’ Medicaid and Children’s Health Insurance Program payments by 10 percent. They did not slash nursing home payments. They did not slash community-based mental health and hospital services for adults and children. They did not completely eliminate the Physician Education Loan Repayment Program or the state’s tobacco cessation program. By no means does the Senate budget fully fund all of medicine’s top priorities, including funds to improve the physician workforce and essential public health services. This is still a very lean budget. That is why TMA will continue to work on these priorities. However, given the historic budget crisis facing Texas, we believe this budget goes a long way towards protecting Texas health care safety. It is critical to move the Senate proposal forward at this point to maximize the possibility of passing a budget during the regular session. If approved by the Senate, the next likely step is for both chambers to appoint a conference committee to work out differences between the two proposals. Act now. Please send an e-mail through TMA’s Grassroots Action Center or call your senator today. Check out the TMA website for a comparison of the House and Senate budget bills. End of life: For the third week in a row, the House Human Services Committee will discuss how end-of-life decisions should be made and by whom. Today the committee is planning to take up House Bill 2483 by Rep. Aaron Peña (R-Edinburg). The restrictive measure would greatly limit a physician’s ability and willingness to execute a “do not resuscitate” order. It also would potentially criminalize the activity. It prioritizes the wishes of family members above those even of the patient and gives them near-absolute control over how long and what kind of care a terminally ill patient should receive while in the hospital, regardless of whether the care is medically appropriate. TMA submitted these comments in opposition to HB 2483. Scope of practice: The Senate Health and Human Services Committee will take up Senate Bill 1084 by Sen. Jeff Wentworth (R-San Antonio) today. 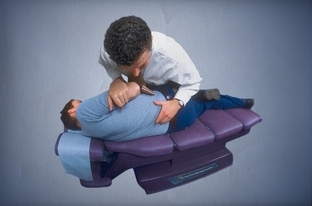 It would establish a definition of “complementary and alternative health care services” in state law and define which acts practitioners of these services are prohibited from doing, such as surgery, diagnostic testing, the exercise of prescriptive authority, and medical diagnosis but allow them to perform all other services. It would also require these practitioners to give each client in writing the services they are providing and the practitioner's related education, training, experience, or other qualifications to provide these services. TMA submitted these comments in opposition to the proposal. House Bill 3291 by Rep. Linda Harper-Brown (R-Irving). It would prohibit insurers from making a false, misleading, or intimidating statement that would encourage a patient to fill prescriptions at a specific pharmacy. HB 762 by Rep. Jose Manuel Lozano (D-Kingsville). It would require the state employee health plans (Employees Retirement System [ERS], Teacher Retirement System, The University of Texas System, and Texas A&M University System) to create voluntary pill-splitting programs with a pharmacy copay reduction as a participation incentive. The ERS Board of Trustees would adopt a list of eligible pills for the program and educational materials. It also would require individuals who choose to participate in the program to obtain a prescription from their physician for eligible drugs. SB 224 by Sen. Jane Nelson (R-Flower Mound) requires schools to report students’ fitness and academic scores to the Texas Education Agency. SB 1177 by Senator Nelson requires health care facilities such as hospitals to develop and implement vaccination policies to protect patients from vaccine-preventable diseases. The policy would require health care workers to get vaccinations recommended by the Centers for Disease Control and Prevention’s Advisory Committee on Immunization Practices. SB 1022 by Sen. José Rodríquez (D-El Paso) would allow international medical graduates to apply for licensure in Texas after two years of graduate medical education. SB 1533 by Sen. “Chuy” Hinojosa (D-McAllen) restricts the availability of foods served in Texas public schools with industrially produced trans fats. HB 127 by Rep. Carol Alvarado (D-Houston) would ban the sale of unhealthy sugary drinks to students in schools. HB 273 by Rep. John Zerwas, MD (R-Simonton), would create a committee to study the Interstate Health Care Compact. The physician of the day at the capitol is Jeffrey Edwards, MD, of Stephenville. Dr. Edwards has practiced family medicine for six years. He graduated from the University of Washington School of Medicine in 1991. Dr. Edwards is a member of the Erath-Somervell-Comanche County Medical Society. ICD-10 will replace ICD-9 in 2013. To use the new coding system in electronic transactions, you must convert to HIPAA Version 5010 software standards — or you won't get paid. But that’s not the only reason to upgrade to Version 5010. With only 35 days left in the 2011 regular session, lawmakers have a lot of work to accomplish. When Senate members get back in Austin tomorrow, their top priority is to finalize the state’s 2012-13 budget plan. If it is approved, it is likely the House will not concur in the Senate changes, and a conference committee of five House members and five Senate members will be appointed to reconcile differences. In the lower chamber, the House is scheduled to take up the proposed redistricting plan on Wednesday. Upcoming legislative deadlines in both chambers start the second week of May. Tomorrow, the full Senate could start the budget debate. It will take two-thirds of the Senate to bring the bill up for debate on the Senate floor. The budget plan passed by the Senate Finance Committee last week totals $176.5 billion, ($80.7 billion in general revenue). The budget reduces current spending by about $6 billion, but is $11 billion more than the House proposal. If the Senate musters the necessary votes to pass its budget bill, the bill is sent back over to the House with the Senate language. Then the House and Senate versions likely will need to be reconciled in conference committee. TMA will report the names of the 10 conference committee members as soon as they become available so you can be aware if your local legislator is serving on the committee. TMA staff also is preparing a side-by-side comparison of the two budget bills so you can better understand the differences and what’s in play. Stay tuned. Starting in June, Texas Medicaid patients will carry credit-card-like identification to help physicians confirm that they are in the Medicaid program, the Texas Health and Human Services Commission (HHSC) said. Eddie Seade, MD, an Austin orthopedic surgeon. We also want to thank Amy Arrant, MD, an Austin hospitalist and chief of staff of St. David’s South Austin Medical Center, and Mark Casanova, MD, a Dallas internist, for providing compelling testimony before the House Health and Human Services Committee yesterday. They testified on House Bill 3520 by Rep. Bryan Hughes (R-Mineola) that would force physicians and hospitals to provide medically unnecessary care indefinitely. Yes, it’s still rainy over at the capitol. That’s why the chief budget writer for the Senate asked his committee today to support drawing down $3 billion from the state’s Rainy Day Fund to balance its 2012-13 budget plan. The Senate Finance Committee spent most of the week substituting parts of the House budget plan with its more generous spending. This morning the committee passed the committee substitute for House Bill 1 on an 11-4 vote, with Senators Lucio, Patrick, Whitmire, and Zaffirini voting against the bill. The legislation likely will be heard in the full Senate late next week, and then the House and Senate versions will be reconciled in conference committee. TMA will report the names of the 10 conference committee members as soon as they become available so you can be aware if your local legislator is serving on the committee. TMA staff also is preparing a side-by-side comparison of both budget bills so you can better understand what’s in play. Stay tuned. On Tuesday TMA released a letter to Finance Committee Chair Steve Ogden (R-Bryan) explaining why Texas physicians prefer the Senate budget plan over the House version. Implement copayments in Medicaid to reduce unnecessary emergency department use. Physicians would have an equal say and vote in a collaborative arrangement’s governing board. Physicians would have due process protections and the ability to participate in more than one collaborative arrangement in their community. The bill protects Texas’ ban on the corporate practice of medicine. ﻿ Interstate compact: HB 5 by Representative Kolkhorst was passed by the House yesterday. The measure would authorize the state to participate in a multistate compact to help fund and administer Medicaid. If passed, the compact would be submitted to Congress for its consideration. If approved, member states could pursue waivers that would relieve the state of federal mandates regarding Medicaid; CHIP; and all other health care programs, such as mental health and public health services. If successful, Texas likely would receive a block grant of around $60 billion, based on 2010 state/federal health care spending. Texas would then create its own health care program to replace Medicaid, CHIP, and all the other public health services. TMB reform bills: SB 190 and SB 191 by Senator Nelson were approved by the Senate. Both bills now go to the House Public Health Committee. SB 190 would allow physicians to tape the proceedings of a Texas Medical Board (TMB) informal settlement conference, which eliminates the truly anonymous complaints. It would provide a physician notice if an insurance company files a complaint. It would prohibit the granting of a license to an applicant who has had a medical license suspended or revoked by another state or country (originally, the bill named only the country of Canada). SB 191 would bind TMB to the ruling of an administrative law judge in a proceeding supervised by the State Office of Administrative Hearings. SB 227 by Senator Nelson was also passed by the Senate. It now needs to be referred to a committee in the House. SB 277 would provide discretion for TMB to waive a fine in lieu of a remedial action plan for a minor administrative violation. Health insurance: SB 822 by Sen. Kirk Watson (D-Austin) was passed by the Senate. Rep. John Zerwas, MD (R-Simonton), will sponsor the legislation in the House. The measure now goes to the House Insurance Committee for consideration. It would allow physicians who work in an academic setting to treat patients as an “in-network” physician for claims purposes while their applications for credentialing and health plan network participation are being processed. HB 1405 by Rep. John Smithee (R-Amarillo) has passed the House and now goes to the Senate State Affairs Committee. The legislation would require plans that utilize a formulary to continue prescription benefits until the next renewal period if the formulary changes in the middle of the plan year. More importantly, HB 1405 would allow patients with individual coverage the same appeal rights as patients with small- or large-group health coverage. This means that a refusal or denial of a prescription drug by the health plan or pharmacy benefit manager would be considered an adverse determination and subject to an independent review if the physician has determined the drug is medically necessary. Graduate medical education: HB 2908 by Rep. Dan Branch (R-Dallas) passed the House on second reading today. The bill requires the Higher Education Coordinating Board to assess the number of graduate medical education (GME) slots in the state and whether this number meets the national standards relating to the ratio of GME slots to medical student slots, to make sure the state is maximizing its investment in medical education. Obesity prevention: HB 127 by Rep. Carol Alvarado (D-Houston) is on the House Local and Consent Calendar today. The legislation would limit the availability of sugary drinks on public school campuses. Stanley Wang, MD, an Austin cardiologist and director of legislative affairs for Austin Heart Hospital. He also is a vice chair of the TMA Political Action Committee Board of Directors. Dr. Wang is newly appointed to the board. 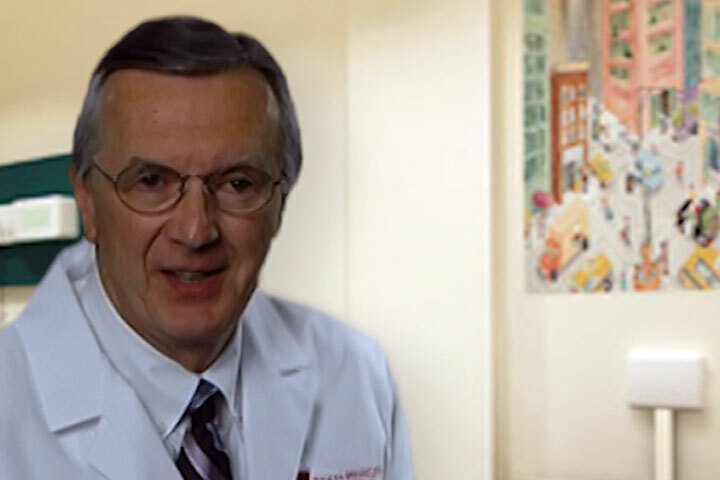 George Willeford III, MD, an Austin gastroenterologist and founding partner of Austin Gastroenterology. He was reappointed. Irvin Zeitler, DO, a family physician from San Angelo and vice president of medical affairs at Shannon Medical Center. Dr. Zeitler was reappointed to the board and will continue to be the presiding officer. The physician of the day at the capitol is James P. McCurdy, MD, of Marble Falls. Dr. McCurdy has practiced family medicine for 29 years. He graduated from The University of Texas Southwestern Medical Center in 1979. Dr. McCurdy is a member of TMA and the Burnet-Lampasas County Medical Society. Needed in Austin: patient advocates. Join hundreds of your colleagues and make a difference in legislation affecting you and your patients. Sign up now to attend First Tuesdays at the Capitol on May 3. Register today. Listen to ReachMD XM 160: Sidney Ontai, MD, MBA, a Plainview, family physician and TMA physician is the first featured doctor in a new national radio franchise premiering this week. ReachMD, an award-winning network for professional medical news, information, and continuing medical education, premieres the new programming series “Voices From American Medicine.” The series features “physicians on the frontlines of medicine discussing their personal stories of triumph, tragedy, humanitarianism and innovation.” “Voices From American Medicine” is produced in cooperation with TMA and other medical associations and societies from across America. APN scope expansion: Gary Floyd, MD, a Fort Worth pediatrician, executive vice-president of medical affairs at John Peter Smith Health Network and member of the TMA’s Council on Legislation; Lloyd Van Winkle, MD, a Castroville family physician and past president of TAFP; Tricia Elliott, MD, director of the family medicine residency program at The University of Texas Medical Branch at Galveston; and Jeff Jekot, MD, an anesthesiologist from Austin will testify against House Bill 708 by Rep. Kelly Hancock (R-North Richland Hills), HB 915 by Rep. Wayne Christian (R-Center), and HB 1266 by Garnet Coleman (D-Houston). All three bills have slight nuances. However, each would allow advanced practice nurses (APNs) to practice independently of physician supervision. The bills would apply to nurse practitioners, nurse anesthetists, and clinical nurse specialists. All would be allowed to (1) prescribe, (2) diagnose, and (3) order and prescribe therapeutic care independently of physician supervision. They would allow care to be provided to patients under the supervision of the Texas Board of Nursing, not the Texas Medical Board. Telemedicine: Russell Thomas, DO, an Eagle Lake family physician who formerly served on the Texas Medical Board and currently serves on the National Federation of State Medical Boards, will testify against HB 2333 by Rep. Rick Hardcastle (R-Vernon). The legislation would allow a physician to diagnose and treat a patient via the Internet without first establishing a relationship in person or doing a physical exam on the patient. The bill also would allow a physician or telemedicine service to use an unlimited number of physician assistants and APNs to provide care to patients via the Internet. Clinical autonomy: Debra Patt, MD, an Austin oncologist, will testify against HB 669 by Rep. James White (R-Hillister). The legislation would tell physicians what they must tell a woman facing breast surgery about their options for breast reconstruction. Physicians also would have to tell patients how much of the cost would be covered by their health plan. Dr. Patt will tell the committee that legislation should not dictate what physicians should discuss with their patients regarding their health care. She also will explain why it’s impossible for physicians to tell patients exactly how much of their medical care will be covered by their health plan. Food safety: Kimberly Avila Edwards, MD, an Austin pediatrician and medical director of the Texas Center for the Prevention and Treatment of Childhood Obesity at Dell Children’s Medical Center, will testify against HB 75 by Rep. Dan Flynn (R-Van). The bill would expand access to unpasteurized, raw milk. Dr. Edwards will explain to committee members why raw, unpasteurized milk is a health hazard. Physical therapist scope expansion: Eddie Seade, MD, an Austin orthopedic surgeon will testify against HB 637 by Rep. Craig Eiland (D-Galveston). The measure would allow direct access to ALL physical therapists without a physician’s referral for all patients ― children and adults ― for all services. Dr. Seade is testifying on behalf of TMA and the Texas Orthopedic Society. HB 1893 by Rep. John Zerwas, MD (R-Simonton), which calls for a physician to directly supervise anesthesiologist assistants. HB 2414 by Rep. Borris Miles (D-Houston), which would extend the Healthy Food Advisory Committee that was established last session. This committee looks at the retail availability of fresh fruits and vegetables in lower income areas and directs the committee to find funding sources for promoting retail availability. HB 2546 by Representative Zerwas, which would create the emergency and trauma care education partnership program. The partnership would consist of one or more hospitals and one or more nursing or medical education programs with the goal of increasing enrollment and graduation of physicians and registered nurses with training in emergency and trauma care. Advance directives: Last week, the House Human Services Committee took up HB 3520 by Rep. Bryan Hughes (R-Mineola). The measure would force physicians and hospitals to provide medically unnecessary care indefinitely. Committee Chair Richard Peña Raymond (D-Laredo) formed a subcommittee to further explore end-of-life issues. Today, the subcommittee is revisiting HB 3520. Amy Arrant, MD, an Austin hospitalist and chief of staff of St. David’s South Austin Medical Center, and Mark Casanova, MD, a Dallas internist, will tell subcommittee members why the measure would cause terminally ill patients more pain and suffering. Yesterday the Senate Finance Subcommittee on Fiscal Matters, chaired by Sen. Robert Duncan (R-Lubbock), unveiled its proposal — SB 1811, which outlines how the Senate could pay for part of its budget plan. The subcommittee recommendations added up to $4.8 billion. The list included mostly accounting maneuvers, including putting off certain payments until the 2014-15 budget, and accelerated tax collections on motor fuels, alcoholic beverages, corporate franchise, and sales. Physicians could be affected by the franchise tax speedup. Although details may change, one plan discussed would require businesses that pay more than $10,000 in franchise tax to make an early payment on their 2013 tax bill. Usually this payment is not due until spring the following year. The early payment amount would be equal to 25 percent of your 2012 tax. Here’s the complete list of recommendations. The committee will vote on SB 1811 this afternoon. Thursday, the senators will decide whether to use any of the state's Rainy Day Fund to pay for the rest of the spending plan and will vote on the 2012-13 budget. TMA yesterday released a letter to Finance Committee Chair Steve Ogden (R-Bryan) explaining why Texas physicians prefer the Senate budget plan over the House version. Physician employment protections: The Senate Intergovernmental Relations Committee will take up two bills today that provide physicians protections if they choose to be employed by the Harris and/or Bexar county hospital districts. Both bills already were approved by the Texas House. SB 1263 by Sen. Leticia Van de Putte (D-San Antonio) would allow the Bexar County Hospital District to employ physicians to meet its statutory mission of providing care to the indigent. TMA, the Bexar County Medical Society, and the hospital district worked together to develop an employment structure that protects a physician’s clinical autonomy and the patient-physician relationship. The framework of the employment arrangement is a nonprofit healthcare corporation — a 501(a) — with a physician board of directors to oversee all clinical issues related to physicians and the care they provide their patients. SB 1795 by Sen. Mario Gallegos (D-Houston) would put responsibility for supervising all clinical issues related to the practice of medicine at the Harris County Hospital District in a medical executive board (MEB). It uses the existing MEB as a physician-led group in charge of the practice of medicine by all physicians — employed or medical-school affiliated — providing care in district facilities. Most importantly, it is the product of local discussions, facilitated by TMA, that included the district; the Harris County Medical Society; and both medical schools, The University of Texas Medical School at Houston and Baylor College of Medicine. It, too, helps the district meet its statutory mission to provide care to the indigent. Interstate compact: HB 5 by Rep. Lois Kolkhorst (R-Brenham) is before the full House today. The measure would authorize the state to participate in a multistate compact to help fund and administer Medicaid. If passed, the compact would be submitted to Congress for its consideration. If approved, member states could pursue waivers that would relieve the state of federal mandates regarding Medicaid; the Children’s Health Insurance Program (CHIP); and all other health care programs, such as mental health and public health services. If successful, Texas likely would receive a block grant of around $60 billion, based on 2010 state/federal health care spending. Texas would then create its own health care program to replace Medicaid, CHIP, and all the other public health services. TMA submitted comments and questions in March. The physician of the day at the capitol is Daniel Voss, MD, of Jarrell. Dr. Voss has practiced family medicine for 23 years. He graduated from The University of Texas Medical Branch in 1985. Dr. Voss is a member of TMA and the Williamson County Medical Society. The House bill eliminated more than $100 million in state and federal funds for community-based mental health and hospital services for adults and children. The Senate plan restores that money. The House bill cut Medicaid and Children’s Health Insurance Program (CHIP) physicians’ fees by10 percent. The Senate plan restores that money. The House bill cut almost all of the state’s $21 million tobacco cessation program. The Senate plan restores half of that money — and uses the rest to help children’s hospitals. The House bill provides absolutely no funding for either of our physician education loan repayment programs — that’s a cut of $58 million. The Senate plan provides $17.5 million for the biennium for the underserved-area loan repayment program. The Senate plan invests $6 million in significant efforts to improve birth outcomes and reduce preventable hospitalizations and readmissions. House Bill 2101 by Rep. Luna Hernandez (D-Houston) would require certain health plans to provide coverage for supplemental breast cancer screenings. HB 3266 by Rep. Sid Miller (R-Stephenville) requires state auditors to audit pharmacy claims for Employees Retirement System of Texas and Teachers Retirement System of Texas members. The goal of the bill is to verify parity between retail and mail-order pharmacies. Senate Bill 822 by Sen. Kirk Watson (D-Austin) allows physicians who work in an academic setting to treat patients as “in-network” physicians for claims purposes while their applications for credentialing and health plan network participation are still pending. Rep. John Zerwas, MD (R-Simonton), is carrying the House version of this bill — HB 1333. HB 438 by Rep. Senfronia Thompson (D-Houston) is on the House Local and Consent Calendar today. The bill would require health plans to cover orally administered anticancer medications at the same level as they provide coverage for other medical or surgical expenses. ﻿﻿ Immunizations: Two TMA-supported bills are on House and Senate calendars. HB 3336 by Rep. Garnet Coleman (D-Houston) is on today’s House Local and Consent Calendar. The measure would require that new moms receive information on pertussis (and the ability to get a Tdap vaccination if needed) before leaving the hospital. SB 1177 by Sen. Jane Nelson (R-Flower Mound) is on the Senate Intent Calendar. The bill requires health care facilities such as hospitals to develop and implement vaccination policies to protect patients from vaccine-preventable diseases. The policy would require health care workers to get vaccinations recommended by the Centers for Disease Control and Prevention’s Advisory Committee on Immunization Practices. Physician workforce: TMA’s graduate medical education bill, HB 2908 by Rep. Dan Branch (R-Dallas), is on the House Local and Consent Calendar today. The bill directs the Higher Education Coordinating Board to determine how many graduate medical education slots Texas needs to keep up with the number of medical school graduates. The physician of the day at the capitol is Nejla S. Shami, MD, of Hamilton. She has practiced family medicine for nine years. Dr. Shami graduated from The University of Texas Health Science Center at San Antonio in 2000. She is a member of TMA and the Travis County Medical Society. Get your daily dose of TMA’s legislative news via RSS feed. To subscribe, see the RSS Feeds page of the TMA website. Once there, you can download an RSS reader, such as Feedreader, Sharpreader, Sage, or NetNewsWire Lite. You also can subscribe to the RSS feeds for TMA news releases; Texas Medicine magazine; TMA Practice E-Tips; and Blogged Arteries, the feed for our Action newsletter. The only task lawmakers have to accomplish each session is to complete a two-year state budget. Both chambers now have only six weeks left to decide how they’re going to shave $27 billion off state spending while not devastating our health care infrastructure. The Senate is scheduled to spend a great deal of its time on the subject this week. Sen. Steve Ogden (R-Bryan), chief budget writer for the Senate, put the finishing touches on the upper chamber’s plan late last week. The next step is for the Senate Finance Committee to vote the bill out of committee. Then, the budget plan goes to the full Senate for debate. The Senate budget spends additional dollars over the House budget on state infrastructure needs, principally related to health and human services and education. The good news is that Senate plan does not cut physicians’ Medicaid payments by 10 percent. The Senate version also includes funding for Medicaid caseload growth and restores funding for a number of important TMA priorities, including community-based and crisis mental health service, and tobacco cessation and prevention programs. Senators also added back some of the funding for primary care residencies administered by the Texas Higher Education Coordinating Board. The question remains, however, how the Senate will pay for its more generous budget. That matter lies with Senate Finance Subcommittee on Fiscal Matters. The subcommittee is trying to find nontax revenue within the state coffers to help pay for Senate spending. Some of the ideas the subcommittee has come up with so far include liquidating part of the tobacco endowment and permanent public health fund, selling state property, and determining whether to extend the small business exemption from the franchise tax. On Thursday, the full Senate is scheduled to take up the two-year budget plan. They will debate the Senate Finance Committee’s version of House Bill 1. As passed by the Texas House, HB 1 is a $164.5 billion, bare-bones budget that includes a 10-percent cut in physician Medicaid and Children’s Health Insurance Program fees, deep cuts in the state’s mental and public health safety programs, and reductions in funding for programs designed to recruit and retain physicians. Stay tuned. How Does the Final House Budget (HB 1) Affect Your County? If you want to find out how the proposed Medicaid cuts in the final House version of the budget could affect your county, check out this chart. The physician of the day at the capitol is Monte Horne, MD, of Hamilton. Dr. Horne has practiced family medicine for nine years. He graduated from The University of Texas Medical Branch in 1998. Dr. Horne is a member of TMA and the Bosque-Hamilton County Medical Society, and is a CMS delegate. Major chiro win for TMA: Thanks to the hundreds of physicians, medical students, and TMA Alliance members who contacted their senators this week and aggressive advocacy by TMA’s lobby team, the association won a major scope battle. It started on Monday when the Senate Business and Commerce Committee approved legislation that essentially gave the Texas Board of Chiropractic Examiners carte blanche authority to do whatever it wants — by rulemaking — without having to worry about legal action from another state health licensure agency. Working with the bill author, however, by Friday TMA was able to remove all of the objectionable provisions. As approved by the committee Monday, Senate Bill 1001 by Sen. John Carona (R-Dallas) would have prevented the Texas Medical Board from taking legal action to stop an individual chiropractor from violating the Medical Practice Act if the chiropractic board said the chiropractor was practicing within his or her scope. The bill also would have circumvented current insurance code provisions concerning nondiscrimination against nonphysicians, which would allow more than 30 nonphysician health care groups to get paid for more services and also would increase utilization. And lastly, the bill would have allowed a number of these groups to create partnerships and other professional structures with physicians, circumventing current law that sets out how these organizations are established. Under the compromise bill agreed to and passed by the Senate on Thursday, the measure requires fair payment and nondiscrimination in payment by health plans for services that chiropractors are authorized to provide. It also allows chiropractors and physicians to establish business relationships as long as the physician affirmatively reports and updates those relationships to TMB. Its House companion bill — House Bill 3441 by Rep. Warren Chisum (R-Pampa) — was heard in the House Licensing and Administrative Procedures Committee on Monday. Sara Austin, MD, an Austin neurologist and member of TMA’s Council on Legislation, testified against the measure, which was left pending in committee. TMA may be calling on you again next week, when the House Public Health Committee takes up a whole host of scope bills by advanced practices nurses and other health care practitioners. Stay tuned. TMA’s Message: Want to know where TMA stands on issues before House and Senate committees this session? All the testimonies presented by TMA leaders are on the TMA website. You can also find letters TMA has sent to our state leaders. Thanks to everyone who called their senators to block SB 1001 from reaching the Senate floor. Due to your interest and hard work, we won tremendous concessions and turned a bad bill into one we could support. Here's the lead from an article on the bill from the Texas Tribune, which covers Texas politics and the legislature: "After a fierce fight, the state’s leading physician groups won a change in legislation backed predominantly by Texas chiropractors that could have prevented one health care licensing agency from challenging the ruling of another in court." Thanks again for joining us in that "fierce fight." The Senate Finance subcommittees are still hammering out their budget recommendations for the upper chamber. The Senate Finance Subcommittee on Higher Education met on Tuesday and approved these medical education recommendations. Increase graduate medical education (GME) program funding by $142,500, which brings the total funding up to 2010-11 levels of $570,000. This program provides GME formula funding to independent programs that are not eligible for state GME funding, which is reserved by law solely for medical school-related GME. How does the final House budget (House Bill 1) affect your county? Chiropractor legislation: Yesterday, TMA and Sen. John Carona (R-Dallas) came to an agreement on a committee substitute for Senate Bill 1001. Senator Carona agreed to remove much of the language expanding scope of practice for chiropractors and other health care practitioners. The bill now consists of the following provisions that TMA supports: fair payment and nondiscrimination in payment to chiropractors for services they provide, and allowing chiropractors and physicians to establish business relationships as long as the physician affirmatively reports and updates these relationships with the Texas Medical Board. HB 758 by Rep. Craig Eiland (D-Galveston), which would allow coverage for medical services due to ingestion of narcotics or intoxicants. It is known nationally as the Uniform Policy Provision Law and is supported by the National Association of Insurance Commissioners. HB 1534 by Representative Eiland, which would regulate certain health care provider network contract arrangements. More commonly referred to as the “silent PPO legislation,” this is the third session it has been filed. TMA, the Texas Hospital Association, the Texas Association of Health Plans, and the American Association of Preferred Provider Organizations have met over the past couple of months and reached a compromise on language for the substitute. SB 229 by Sen. Jane Nelson (R-Flower Mound), which would help guarantee that all newborns in Texas get a hearing screening, was passed by the Senate. The bill now goes to the House chamber. SB 226 by Senator Nelson is set on the Local and Consent Calendar. The measure would enhance data gathered through the Fitnessgram. It’s a program required under current law for children in grades 3 through 12 that measures a child’s aerobic capacity, muscular strength, muscular endurance, flexibility, and body composition. SB 622 by Senator Nelson was approved by the Senate and now moves to the House chamber. The measure would protect a patient’s health information and personal information. SB 1177 by Senator Nelson was approved by the Senate Health and Human Services Committee. It requires health care facilities such as hospitals to develop and implement vaccination policies to protect patients from vaccine-preventable diseases. The policy would require health care workers to get vaccinations recommended by the Centers for Disease Control and Prevention’s Advisory Committee on Immunization Practices. HB 2636 by Rep. Lois Kolkhorst (R-Brenham) was approved by the House Public Health Committee yesterday and moves to the full House for debate. It directs the Texas Health and Human Services Commission to establish a commission to study neonatal intensive care units. SB 1545 by Sen. Dan Patrick (R-Houston) is on the Senate Local and Consent Calendar. The measure would provide immunity to physicians when they perform a student athlete physical examination or medical screening. 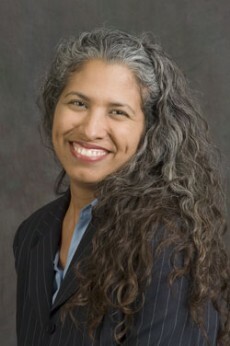 The physician of the day at the capitol is Monique Cortez, MD, of Austin. Dr. Cortez has practiced family medicine for 10 years. She graduated from UT Health Science Center at Houston in 1999. Dr. Cortez is a member of TMA and the Travis County Medical Society. Needed in Austin: patient advocates. Join hundreds of your colleagues and make a difference in legislation affecting you and your patients. Sign up now to attend First Tuesdays at the Capitol on May 1. Register today.